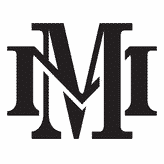 Mark Malatesta has many websites to help authors write, publish, and promote their books (click here to see Reviews of Mark Malatesta). It doesn’t matter what genre your book(s) is (fiction, nonfiction, or children’s books), and it doesn’t matter if you’re already established or just getting started. Our websites for authors will help you get to the next level. Scroll below to learn more now and get free instant access. Former Literary Agent Mark Malatesta is now an author coach who primarily helps authors get top literary agents, publishers, and book deals. His websites include The Bestselling Author, The Directory of Literary Agents, Literary Agent Undercover, How to Write a Query Letter, The Book Genre Dictionary, and Writing Quotes. Scroll below for more information and free, instant access. “Not every author can make it to the top of the NY Times bestseller list, but every talented author deserves to reach as many people as possible–whether that’s through a major publishing house like Random House, a smaller but legitimate publisher, or self-publishing. 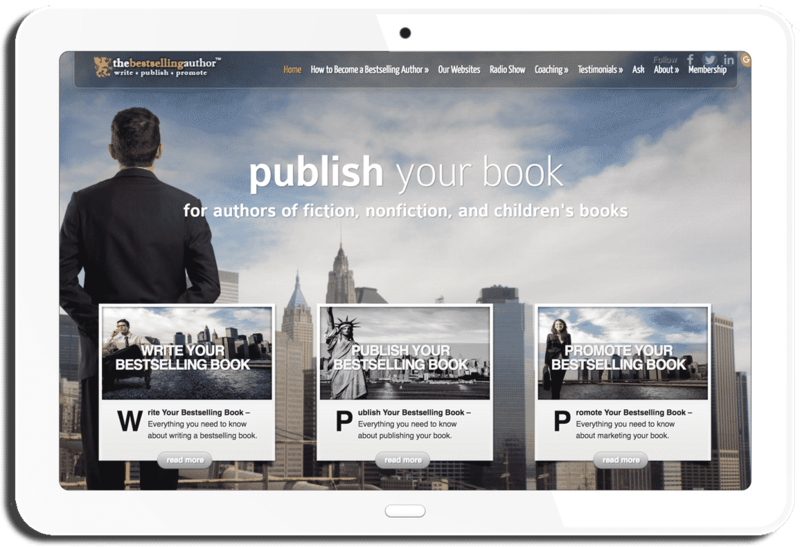 The Bestselling Author is Mark Malatesta’s main book publishing website, dedicated to helping authors of all genres (fiction, nonfiction, and children’s books) become bestselling authors. 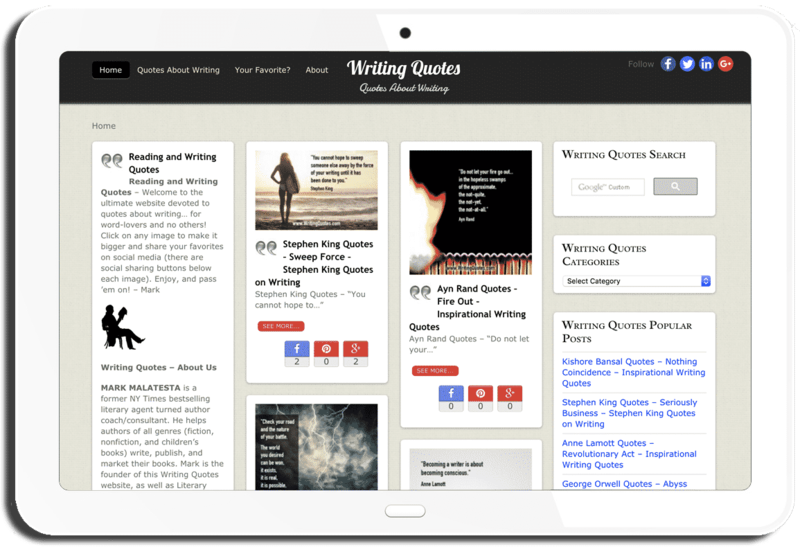 If you’re an aspiring author, click here now for FREE INSTANT ACCESS to all the writers’ resources on this website, including interviews with tips from bestselling authors and Mark’s best tips to write, publish, and promote their books. When Mark Malatesta stopped being a literary agent and became an author coach, he realized that the literary agent directories in the marketplace (print and online) were incomplete and filled with mistakes. The printed literary agent directories are six months old by the time you buy a copy because of the time it takes the publishers to compile the information, edit the book, print it, and distribute it to bookstores. The online versions aren’t current either. That’s because the information changes rapidly, and the people maintaining those websites don’t have dedicated staff to keep the literary agent listings up to date. Getting an agent is hard enough. The last thing you need is to get rejected because your using unreliable information. 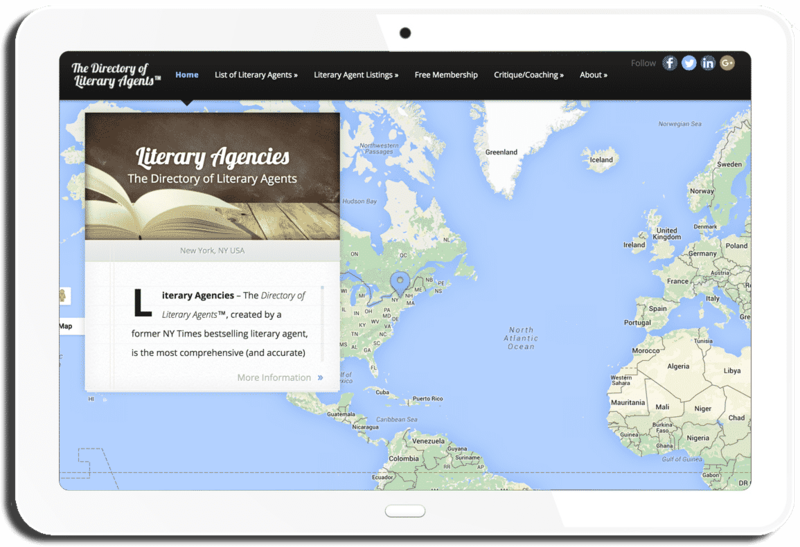 That’s why Mark Malatesta created The Directory of Literary Agents™. Literary Agent Undercover is a website devoted to authors who want to get a top literary agent, publisher, and book deal instead of self-publishing. In other words, they want to get paid to publish, instead of pay to publish. Literary Agent Undercover™ is for three different types of authors. It’s for unpublished authors that are just getting started. It’s for previously self-published authors who now want to get a traditional publisher. And it’s for authors who’ve been published traditionally before but have lost their agent and possibly their publisher. 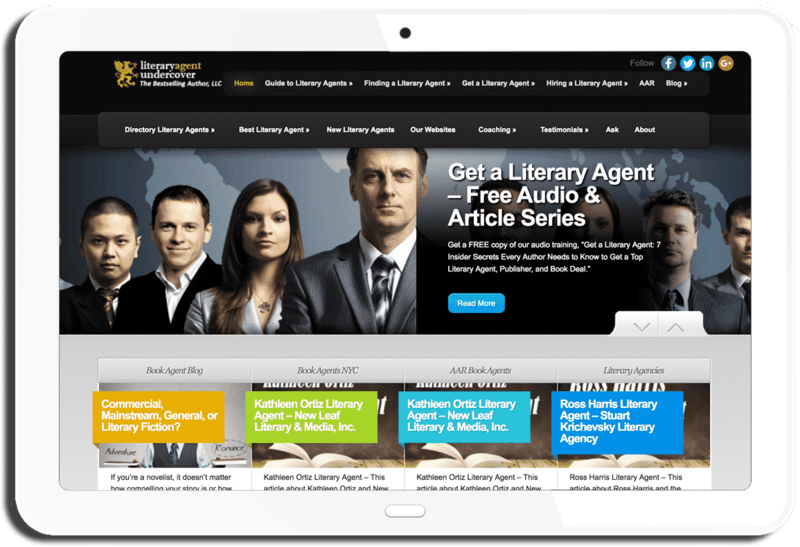 If you want to get a top literary agent, publisher, and book deal click here for FREE INSTANT ACCESS to all the writers’ resources on the Literary Agent Undercover™ website, including Mark’s signature talk: Everything You Need to Know About Literary Agents… and Wouldn’t Know to Ask. 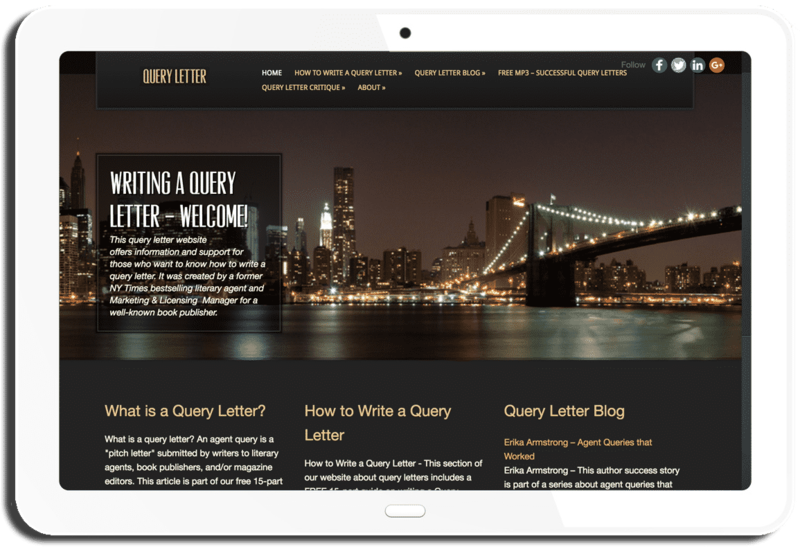 Mark Malatesta’s query letter website reveals everything authors want and need to know about writing an irresistible query letter. This website includes helpful articles and FREE 15-part guide to writing a successful agent query. Some of the questions this training include are: What is an agent query letter? What’s the most popular agent query format?What is the best agent query length? Is there an ideal literary agent query example, or query letter template, that you can model? What is an agent query hook? And what is a literary agent SASE ? What is the best email query format for agents? Where can you get help writing your query letter? Click here now for FREE INSTANT ACCESS to our best information at our Query Letter website. What genre is your book? Are you sure? Our book genres website is the most complete resource online about book genres, It includes simple and clear definitions, as well as examples, for all major book genres. You’ll also find an easy-to-use Book Genre Finder that will help you determine the genre of your book(s). 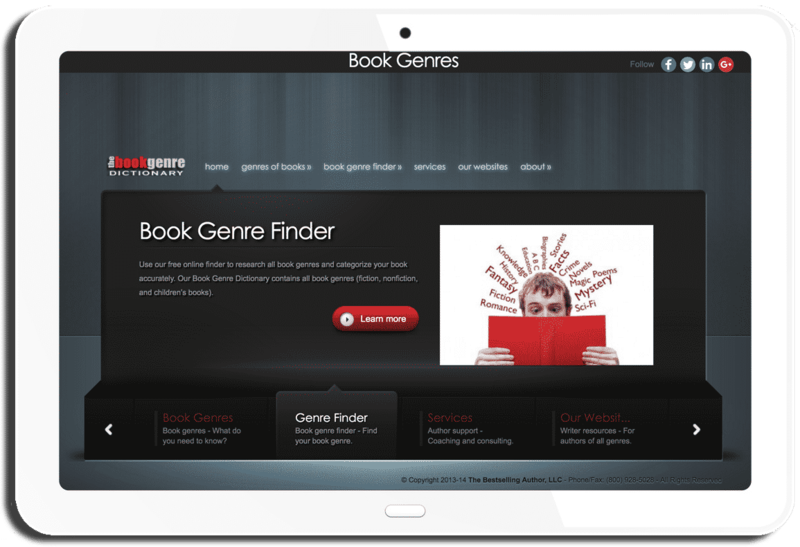 Our book genres websites also answers questions such as: What do the terms genre and sub-genre mean? Why is understanding your book genre important? How many book genres are there? Who categorizes books and how do they do it? And, what are the most popular book genres? Find the answers to these questions and use our Book Genre Finder by clicking here now to visit our Book Genres website. Stephen King once said, “You cannot hope to sweep someone else away by the force of your writing until it has been done to you.” Who doesn’t love famous, and not-so-famous quotes about reading, writing, and books in general? A longtime bibliophile and lover of quotes (reading them and writing them), Mark Malatesta has always collected quotes and sayings about books, writing, and publishing. He’s written his fair share as well. WritingQuotes.com is a fun and inspirational platform for authors to share their favorite writing quotes with others who share their passion for the poetry in words. If you want 1-on-1 support to help you reach your publishing goals, click here now to find out how you can Schedule an Introductory Coaching Call with Mark Malatesta. Click here to access all of the Free Resources on our websites for authors provided by former literary agent Mark Malatesta.